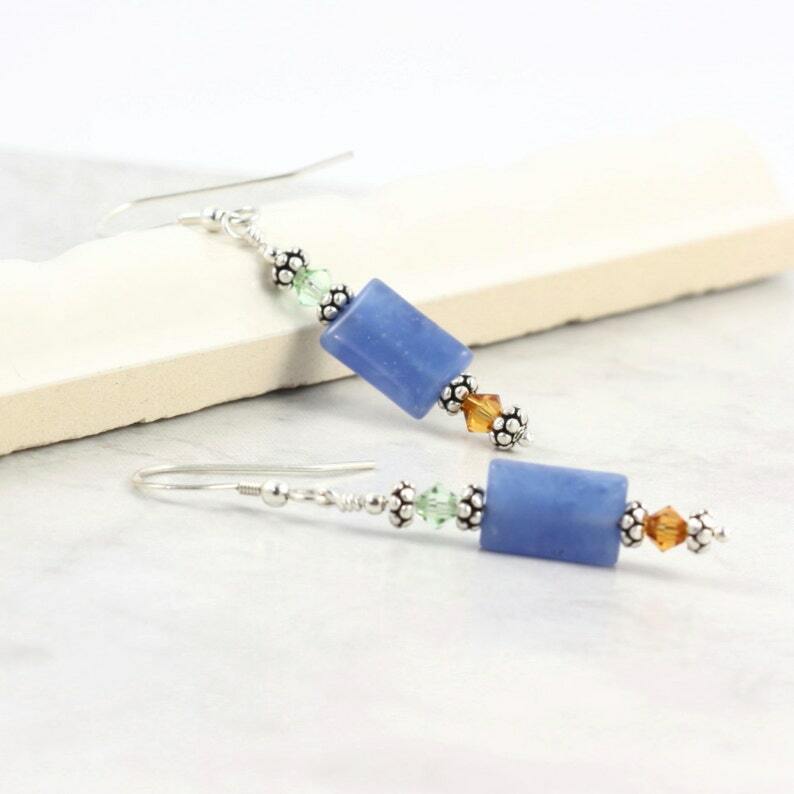 Sky blue quartz beaded earrings with topaz and green Swarovski crystal with sterling silver rondelles. Total length of earring from top of ear wire to bottom is just over 2 inches or 52mm. Earrings come with plastic earring backs – so you won’t lose them! Earwires are sterling silver. Earrings are shown with matching necklace and bracelet.